​The agreement with Russia for cheaper gas and a promise to buy a large portion of Ukrainian debt saved the country from economic and social collapse, Ukrainian Prime Minister Mykola Azarov said on Wednesday. The deal will prevent Ukraine from defaulting on debts, and buys the country time to enact serious reforms to get its derailed economy back on track. Ukraine’s total foreign debt is $140 billion, nearly 80 percent of gross domestic product. 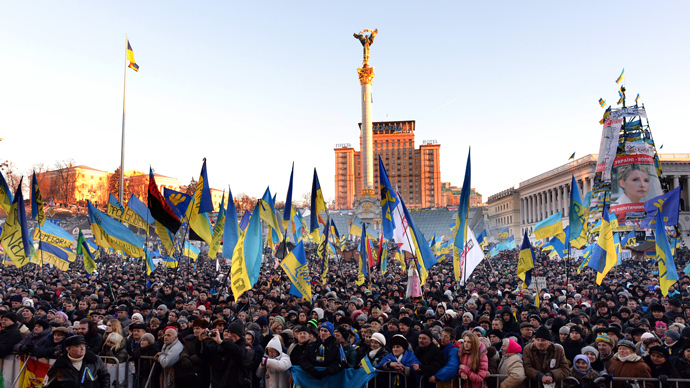 Ukraine’s economy is expected to contract 1.5 percent in 2013. "I am asking openly: What would Ukraine have faced? The answer is obvious: bankruptcy and social collapse. This is a New Year's gift that the Ukrainian people would have in this case," Azarov said in defense of Kiev’s decision to strengthen ties with Moscow over Brussels. Azarov said without cooperation from Russia, Ukraine’s cities would have faced gas shortages, the government would have had to cancel agriculture support, as well as freeze salaries and pensions. President Putin pledged to buy $15 billion of Ukraine’s debt to delay a default, with a $3 billion installment of two-year Eurobonds ready before the end of 2013, according to Russian Finance Minister Anton Siluanov. 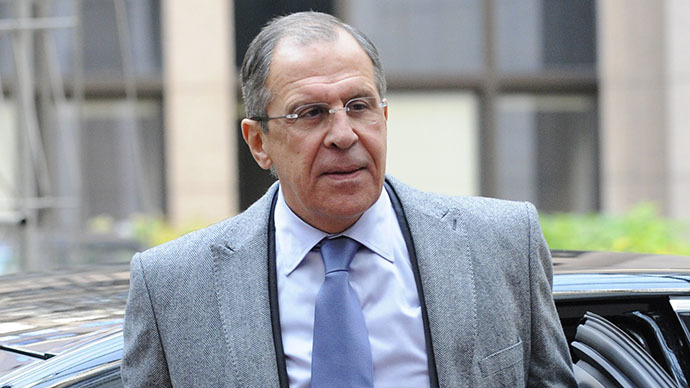 Russia will use money from its $88 billion emergency National Welfare Fund. On behalf of Gazprom, Russia’s state-owned gas giant, Putin promised a 33 percent discount on natural gas. Starting January 1, Ukrainians can buy Russian gas for $268.5 instead of $400 per 1,000 cubic meters. "The agreements help us to adopt a budget of social development. Before this event the adoption of this kind of budget had been 'absolutely impossible' and a collapse had threatened the country," Azarov said. 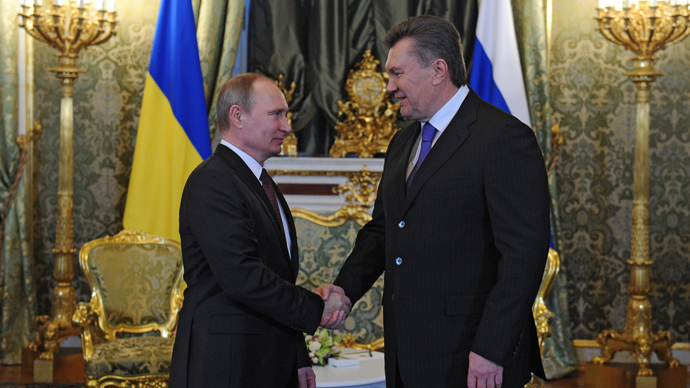 President Putin and Ukraine's President Yanukovich signed 14 economic agreements in Moscow on Tuesday. Investors seemed to be calmed by the conclusive deal, which will patch up the economy through the remainder of Yanukovich's presidential term, as he faces re-election in February 2015. 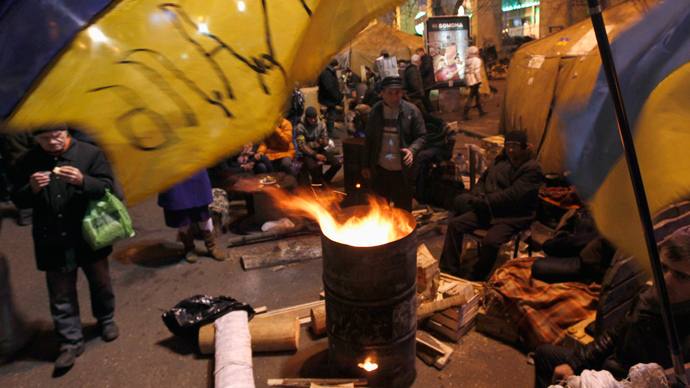 The bailout increases Ukraine’s dependence on a not-so-reliable neighbor, which has turned off gas supplies twice in 2006 and 2009 over pricing disputes. The fast-depreciating hryvnia gained 0.38 percent to 8.2875 against the dollar as of 16:23 in Kiev today. The Central Bank has the hryvnia pegged at 8.0 to the US dollar, and the current inter-bank rate is set at 8.20, both are seen as highly unsustainable rates, as a rate above 10 or 12 would be more accurate. No mention was made of Ukraine joining the Russia-led Customs Union, Putin’s project to gather all ex-Soviet nations into a free trade zone to rival the EU. So far the bloc consists of Russia, Belarus, and Kazakhstan, but Russia is trying and rope in allies from the Commonwealth of Independent States (CIS) like Ukraine, Armenia, Tajikistan, and Kyrgyzstan. 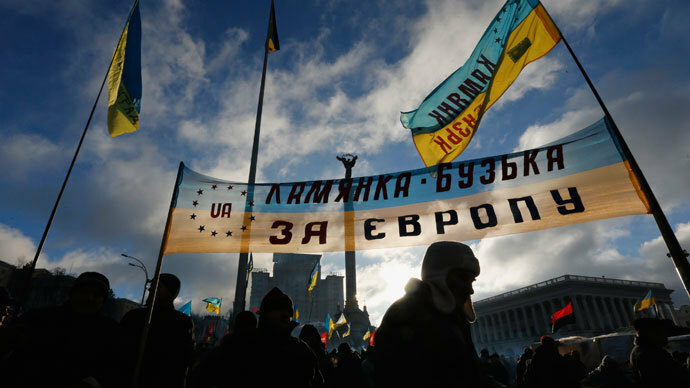 The deal was not well-received by the pro-EU opposition, who have flooded Kiev’s streets since Yanukovich walked away from a November EU trade Association Agreement, which would have been a step towards EU integration.